Today is a day of celebration at Gooba. We are celebrating the release of the greatest update of Gooba 3, version 3.1, released a few hours ago on the App Store as a free update (here all the details). A few weeks ago we announced to the public the evolution of our brand, showing you an improved logo, new illustrations and new colors that will accompany us in our future. The new design of our brand has been curated by designer Michela Zanfini and will be completed for all our services during 2019 (more information on design.goobapp.com). Today to celebrate the launch of Gooba 3.1, we have decided to release our new website. The new Gooba website brings with it the new design of the brand, with new illustrations and new colors. 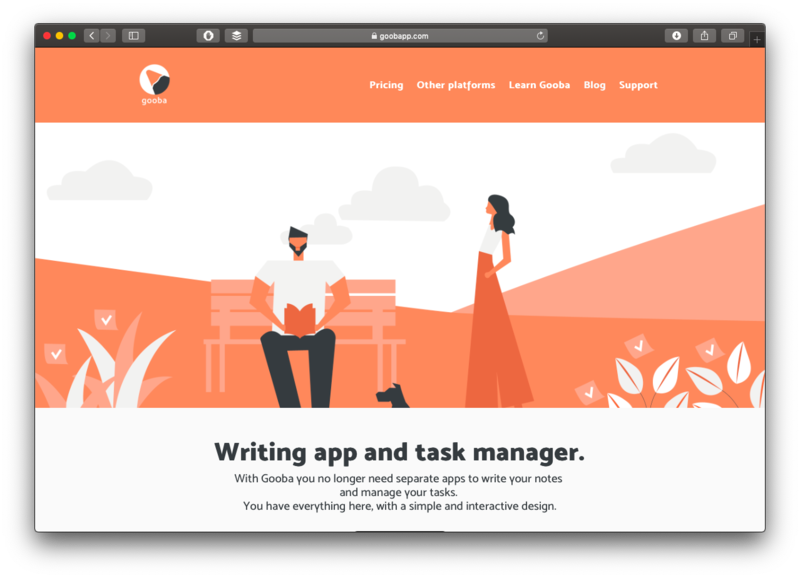 In addition to brand new sections to present to the world our renewed app for writing, a new adventure that took place with the recent launch of Gooba 3.1. Now you just have to visit the new redesigned website, by accessing goobapp.com. And we also invite you to download Gooba 3.1 from get.goobapp.com.